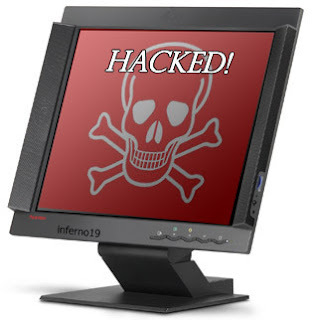 Hacking your friend’s PC and installing software’s such as keyloggers and getting private information. So I’ll show you how to hack a remote PC using an IP address. 1) First you need find the IP address for that, refer here. 2) Once you get the IP address, you need to check if it is online. To know the status just ping the IP address, if it is online it will reply. 3) If the IP address is online, scan for the open ports. Open ports are like closed door without locks, you can go inside and outside easily. Use Advanced Port Scanner to scan all open and venerable ports. Or use Blues Port Scanner - This program will scan the IP address that you chose and identify open ports that are on the target box. 4) Now you’ve IP address and open port address of the victim, you can now use telnet to try to access them. Make sure that you’ve telnet enabled in your computer or install it from Control panel > Add remove programs > Add windows components. 5) Now open command prompt and use telnet command to access to the IP address. Use the following syntax for connection. 6) You’ll be asked to input login information. You will have to guess the password. If you can’t, use brute force attack to get the password. Use this tool. I would prefer you to use Backtrack OS to hack a remote PC if you are familiar with it, and then watch this video tutorial. If any queries, comment below. Share this page with your friends. Enjoy.